Land at Ben Gurion airport as early as possible. Rent a car. Head out of Tel Aviv. If you have extra time, stop in Negev Brewery in Kiryat Gat or go exploring the Beit Guvrin caves (make sure to call in advance to find out when they close, as you usually need to be in them before 2 or 3pm). 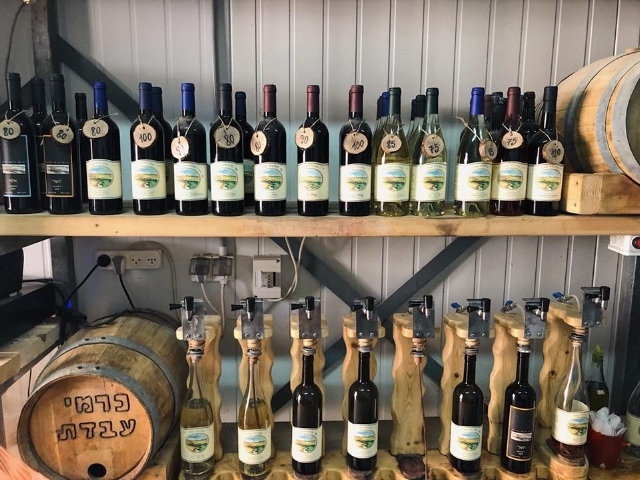 Domaine du Castel, Tzuba Winery, Flam Winery, Tzora Vineyards and Sea Horse Winery make up the most impressive circle/sampling of Judean Hills wineries in Israel. Each has something different to offer and you can drop in for tastings at most of them. Pick a couple and soak in the experience. Eat dinner at Pizza Kaparuchka. While there, sample a local Negev Brewery beer or two. Go for a night cap at Muza sports pub. Buy pastries at Bethlehem Bakery. Stop at the grocery store in town for some snacks. Head out for a day full of adventure. Masada hike (best at sunrise). Shvil Haratz is an alternative hike to the snake path up Masada. The path is 3 kilometers long, taking you around the northern side of the mountain and up the Roman Path, known in Hebrew as Shvil HaSolela. Ein Gedi (Situated 800m up the hill from the Rte 90 turn-off to Ein Gedi Nature Reserve). Wadi Ze'elim hike. The starting point, Birkat Tzfira campground is accessible by all cars from Arad-Masada road (3199). It takes around 3 hrs walk , but the idea is to spend some time stopping for tea or coffee, getting into the water or just enjoying the wild desert. You definitely want to consider hiking it clockwise, and adding a jump to Birkat Tzfira (Tzfira Pool) at the end. Kfar Hanokdim is my strong recommendation. This is one of the most unique experiences that you can have in the Middle East, essentially becoming a part of a Bedouin tribe for as long as you decide to stay. 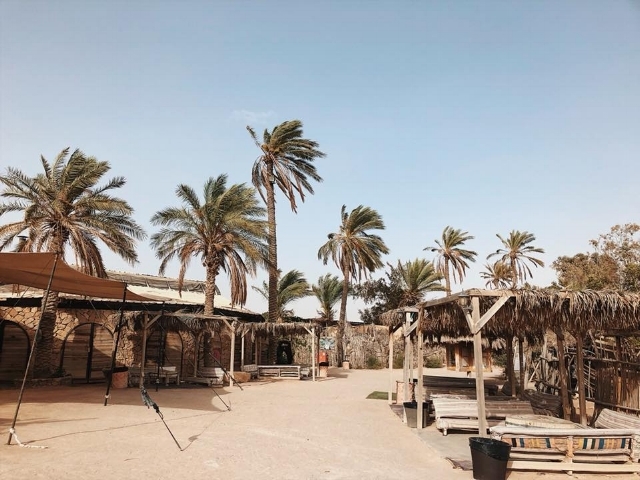 You have the opportunity to learn about Bedouin culture from actual bedouin people ("I miss the days of moving, we can not move like we used to anymore because of Israeli law") and meet other travelers who are looking to share a similar experience. Have breakfast at Kfar Hanokdim (if you stayed there, which you should). Take a morning camel ride across the Negev Desert (part of their all inclusive package). Get on the road by 10:30am. Stop at Yatir Winery for a quick tasting on the way to Beersheba. Lola Cafe - best for breakfast! The region is known for its organic farms and traditionally edible products like honey, wine, cheese, yogurt and olive oil. Follow the Wine Route and stop at wineries/farms along the way. You can also visit the kibbutz of Sde Boker and Ben Gurion’s hut. Here you’ll hear the fascinating story of Israel’s Prime Minister and his vision for the Negev. End the day in Mitzpe Ramon for dinner. Carmey Avdat Farm – best place to buy wines! Boker Valley Vineyards - they sample multiple wineries' wines, so a good place to go if you only have time to stop at one. Wake up and visit any of the places you missed the day before, as if you did it right, Day 3 was an absolutely packed day! 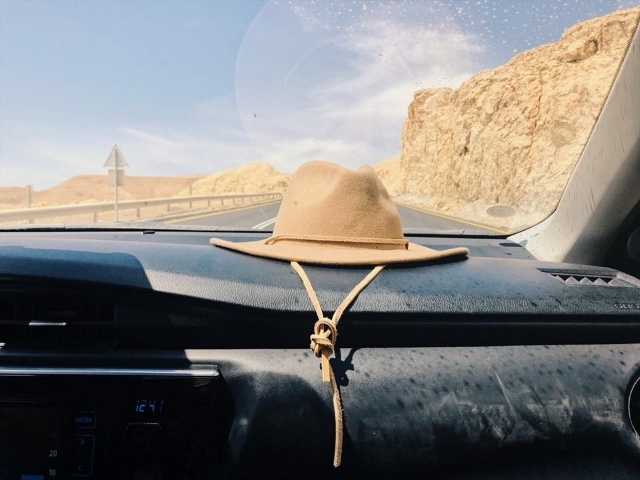 But don't idle for too long because you are going to want to get to Zuqim earlier in the day rather than later to fully appreciate the beauty of Zuqim (which is considered the Arava desert and sits just on the border of Jordan). Ein Akev hike: You'll want to fuel up with a hearty breakfast for this one, go early in the day, and be sure you have lots of water with you. The hike is a 12km loop and took us about 4 hours (don't trust the online guides which say 6-7 hours; if you're in shape, you'll be done in 4 or 5 hours max). Route 90 (next door to Ursula; good place for grabbing the world's best popsicles called Paletas, sandwiches, and other snacks). Carmel Market - an open air market known for its fresh fruits and vendors. Neve Tzedek - the city's first neighborhood & by far my favorite area! Very charming, filled with lots of restaurants and bars. Sarona Market is a great place to stop on the way to the airport, as it's a bit out of downtown Tel Aviv hotel district. 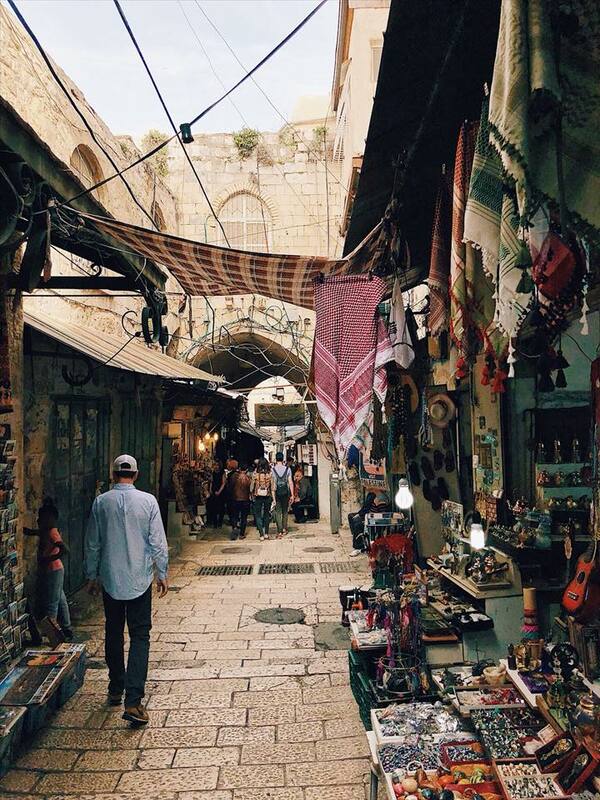 Think of this as the place where you can get any fresh Israeli fruits, nuts, delicacies, yummy gifts that you could ever desire. And one final Paletas ice pop to fulfill a craving (my favorite was Pistachio). *BONUS TIP: Do not miss breakfast at the Mendeli Street Hotel, as it was by far the best meal of the entire trip. Much of this trip was inspired by books and Netflix documentaries on Israeli culture / cuisine, so I wanted to list a few here so you could also learn/appreciate the knowledge ahead of a future trip.